Slaves were acquired in various ways and for different reasons. Some slave owners acquired slaves with land that they purchased. Some slaves were inherited. Some slaves were purchased to free them from harsh masters or to unite them with their families. Some sold themselves into slavery and were indentured for a specified number of years. Slaves in the early 1800's were the most available labor force for clearing and farming land. The benevolent slave owner was faced with a dilemma. On a religious and moral level the institution of slavery was seen as evil and contrary to the ideals of the democratic society which had been established by the founding fathers with freedom for all. On a personal level slaves became a part of the extended family with genuine feelings of love between the races. With the welfare of the individual slave a concern, how could the benevolent slave owner free the slaves and cast them into a hostile community where they had no protection under existing laws? Freed slaves had to carry their emancipation papers with them at all times or be jailed. After 1851 freed slaves had to leave the state of Kentucky. Even with papers, freed slaves were kidnapped by slave traders and sold back into slavery. Freed slaves who were poor were arrested and hired out and their children were apprenticed until adulthood. Blacks fared unequally in competition for employment with white laborers in the north and with both white laborers and slaves in the south. A black man could not testify against a white man. There was not equal protection under the law and there were laws that were punitive specifically to freed blacks. An early movement in Kentucky by the American Colonization Society to resolve the dilemma of the benevolent slave owner was the newly organized country of Liberia in Sierra Leone, Africa where captive slaves could be returned to their homeland. However, most slaves did not choose to return. Another solution was manumission, a procedure by which an individual slave could be granted freedom by or purchase freedom from the master. Manumission, or gradual emancipation, was preferred by benevolent slave owners as slaves could first be educated and trained so that they could become financially independent as free persons in a generally hostile society. Abolition of slavery by the government did not offer this preparation and protection to the individual. The Presbyterian Church in Kentucky in 1797 determined that slavery was a moral evil but that all persons who owned slaves were not guilty of a moral evil. There is no condemnation of slavery in the Bible but instructions to slave owners and to slaves which outline expectations for each in this culturally accepted institution of that time in history. The recorded position of the Presbyterian Church was to outline the responsibility of slave owners as follows: to treat their slaves with kindness, to provide education, to encourage moral and spiritual values, to encourage attendance at religious services and provide religious instruction, and to legally emancipate their slaves as adults after they were prepared for freedom and independence. The church's position on the age for benevolent emancipation is supported by contemporary experts on slavery who write that the peak years for productivity and profit from slaves is between the ages of thirty and fifty. Profitability is diminished by the cost of keeping children, training young adults and maintaining old people. Slaves after the age of thirty were thus best prepared for and most capable of living as freed persons. Another problem that existed in the time of slavery and faces us today with some welfare recipients is dependency. Slavery reinforced dependency, making it difficult for some individuals to strive on their own for a better life. Slaves were in a foreign country and unlike emigrants did not have the resources of an extended family or an established community. Emigrants came voluntarily and were for the most part independent individuals with a sense of adventure. The slaves in this country included those who were by nature independent and those who were not. A dependent slave with a benevolent master had security which some were reluctant to give up for freedom, just as some welfare recipients are today. The Bedingers were benevolent slave owners and among the first land owners in Kentucky and Boone County. The story of the Bedingers in Kentucky begins with George Michael Bedinger, one of the first white men in Kentucky and about whom much has been written, including the books, George Michael Bedinger, A Kentucky Pioneer; For Brave America, The Bedinger Brothers in War and Peace, 1775-1843 and The Hunters of Kentucky, A Narrative History of America’s First Far West, 1750-1792. George Michael was the son of a German emigrant, Henry Büdingen. Henry came to America in 1737 at the age of eight with his parents. Henry's father, Adam Büdingen, was from Alsace, a member of an old German family for whom three villages had been named. Adam acquired a large tract of land in Pennsylvania and prospered. He gave each of his sons a farm when they married. Henry married Magdalene von Schlegel, lived first in Pennsylvania and then moved to northern Virginia (which later became West Virginia) in 1762 where he died ten years later, leaving his widow with eight children. Henry owned considerable property in the town of Shepherdstown (about 20 miles south of Pennsylvania) as well as several farms. In addition to the property he left to his widow, which was hers during her lifetime, he willed a farm to each of his five sons and a house in town to each of his three daughters. George Michael and his older brother Henry had to assume considerable responsibility for the family as teen age boys. Although German continued to be spoken in the home, English soon became the language of choice for them as for other emigrants of this time. The Budingens anglicized their name to Bedinger and left the Lutheran Church after a dispute over reading the liturgy in German instead of English. They joined the Episcopal Church, which they called the English Church. George Michael was described as a sturdy six footer with black hair and blue eyes. He was a skilled backwoodsman, fond of hunting, fishing and riding. He became an expert rifleman at a young age, which combined with bravery and patriotism, made him a good soldier. George Michael and a friend, inspired by Patrick Henry's rhetoric, were the first two from Shepherdstown to volunteer in 1775 to participate in an armed resistance to the governor in Virginia, called Lord Dunsmore's War, the prelude to the Revolution. When the Revolution started, George Michael and his brother Henry were among the first recruits to join a Virginia rifle company. The British soon learned to fear the expert Virginia marksmen and George Washington paid them special honor for their skill and heroism. The Revolutionary War was fought by volunteers who served for a limited period of time usually a set number of months. George Michael fought the British for a period of time, then went home to help his mother with the farms, then fought Indians in Kentucky with Daniel Boone, then fought the British again. He was a brave soldier and natural leader, and was never captured or injured. During the Revolution pioneers began adventuring into Kentucky. Daniel Boone built his fort at Boonesborough in 1775, following the purchase of Kentucky from the Cherokee Indians. In 1779 George Michael joined a party of twelve men from Shepherdstown and arrived at Boonesborough in time to help defend it from fierce Indian attack. He remained there for seven months serving as an Indian spy, scout, hunter, surveyor and soldier. The war with the Indians was another battlefront with the British who incited the Shawnee Indians from north of the Ohio River and supplied them with weapons and soldiers. George Michael wrote: "I have ever considered this service at this place and during this time the most useful to my country, as we were almost constantly surrounded by parties of Indians, who were lying in wait for us... "
He participated in raids on Indian villages as far away as Illinois as the pioneers took an offensive position in their battles with the Indians. He returned to the Revolutionary War to take command as captain of a company of militia and served until the surrender of Cornwallis at Yorktown in 1781. After the War he participated in a partnership in a mill in Virginia for a limited time, then returned to Kentucky as a surveyor and explorer. As he surveyed land for the soldiers of the Revolutionary War, who had been given land grants as payment for their military service, he accumulated a great deal of land for himself. Surveying was dangerous employment due to the perils of wilderness life as well as hostile Indians. He had many adventures and narrow escapes. After being left for dead by his companions he recovered from a long illness and returned home for several years. During this time he bought property in Maryland, built a saw and grist mill, married and had a daughter. Both he and his wife had a serious illness, which she did not survive. When Michael recovered he left his infant daughter with his mother-in-law and returned to his frontier life in Kentucky. Once again he surveyed land for his old comrades in arms, fought with hostile Indians and served on peace-making missions with friendly Indians. He received a commission from President Washington, who appointed him major of a battalion in the war with the Indians. He was chosen for a military promotion by his general, which led to some dissension as another candidate was older and favored by the War Department. Michael elected to remove himself from controversy, resigned from the army, and eloped on horseback with the sixteen-year old daughter of Dr. Henry Clay of Blue Licks, Kentucky. His wife Henrietta Clay was a cousin of the statesman Henry Clay and the emancipationist Cassius Clay. Their marriage had been opposed due to the difference in their ages. At the age of 37, Michael gave up his adventurous life and settled down to a long and happy life on his farm in Blue Licks. He had acquired a great deal of property in different parts of Kentucky, including land, mills, and houses. Nearly all of lower Blue Licks belonged to him. Working shoulder to shoulder with his laborers, he built three houses on The Bedinger Place on the Licking River, first a log cabin, then a stone house, both by the river, and then a large white frame house on the hill which had over 30 rooms including the kitchen wing which housed the slaves, or servants as he called them. He donated two acres of land for the first school and church at Blue Licks. After the end of his military career, George Michael had a political career. He was a member of the convention that wrote the Constitution for Kentucky but was in the minority on the issue of slavery. He wanted Kentucky to be a free state. He was elected to the Kentucky Legislature and served as an elector for the first Governor of Kentucky. He was the first judge of the Court of Quarter Session. He was next elected to the U S Congress where he fought hard to abolish slavery and was successful in getting a bill passed to prevent the importation of new slaves. He was the chairman of the Committee for the Suppression of Slavery. In the Dictionary of American Biography, Vol. II he was described as: "one of the earliest and most bitter opponents of slavery in Kentucky. " His publicly stated views on slavery cost him reelection to Congress when he ran again in his later life. He opposed the famous Embargo and when he learned of a special night session to pass the act he attended and opened his speech with: "What means this gathering in such unseemly haste, under cover of darkness? Is it that you propose that which will not bear the light?" At the end of his scathing speech a fellow congressman said: “I am glad to see there is one honest man in the House." After four years in Congress he declined to run again although he had no opposition. He said: "rotation in office is favorable to liberty." He had progressive ideas about term limits and slavery and strong opinions about trade and taxes. He also opposed the Electoral College and believed the President should be elected by the popular vote. George Michael's views on slavery are a matter of public record and were also expressed in letters to his brothers. When he inherited some slaves from his brother Jacob's estate he wrote the following to his brother Henry: "My mind has long since been made up on the score of slavery. My dear departed brother was well acquainted with my sentiments and with whom I have had severe and long arguments on the subject of slavery as I have always taken the merciful side in favor of freedom". Both his wife and son, Benjamin Franklin, advised him to accept his niece's offer to buy the inherited slaves but George Michael felt he should not trust someone else to free the slaves who had been entrusted to him and bought a sister to these slaves as well so they would not be separated. He freed his own slaves before their 30th birthday and offered to pay their passage to Liberia. Only one chose to return to Africa. He wrote: "Slavery to me is an unhappy thing. " He wrote that he had no other trouble in his life "but if I once own them (slaves) responsibility seems to fasten on me." In another letter he wrote: "I should be quite willing to have sent most of them to Liberia if they were willing. I offered to let six of the oldest of them go and I would have paid their passage but they would rather stay. I think I will try to get the boys taught trades. " He never sold any slaves he owned but tried to prepare them for freedom and self support. All of his slaves were well treated and he taught them to "read, write and cipher". He called his slaves servants, paid them wages and built a wing on his house for them to live in. His children all held his views on slavery. His son Daniel left directions in his will that all of his slaves were to be freed at a set age with either their expenses paid to Liberia or land purchased for them. George Michael fathered nine children with his second wife and made certain they all received the best education available - sending the older ones east to school and later the younger ones to Cincinnati. One son went to West Point and another to Surgeon's College in Philadelphia. George Michael owned the only copy of the Encyclopedia Britannica in Kentucky at one time and his daughter Elizabeth, who was a great scholar, read it cover to cover. His children prospered and married sons or daughters of prominent families; many of them stayed in Kentucky. Fifty years after Michael and his brother left home in a company of 97 volunteers to join General Washington in the Revolutionary War they had a reunion, as they had promised, at the spring on the old Bedinger farm. Only five were still living and only Michael and his brother Henry were physically able to make the journey. Michael rode horseback from Kentucky at the age of 69. They were honored at a military ceremony. George Michael outlived all of his brothers and sisters and half of his ten children. He was a soldier, patriot, pioneer, and statesman. A historical marker on Highway 68 across from Blue Licks State Park erected in his honor reads "PATRIOT-PIONEER Site of home and grave of Major George Michael Bedinger over on hilltop. Born PA 1756 Died 1843. Officer War of Revolution. In defense of Boonesborough 1779 and at siege of Yorktown 1781. In 1784 came back to KY. First to survey this area. Indian campaign 1791. KY legislator 1792-94. U S Congress 1803-07. Opposed slavery. Freed his slaves at their age thirty." George Michael is buried on his farm in the Bedinger Cemetery, a parcel of land he surrounded with a stone wall and set aside on the Licking River in Blue Licks for the burial of his family and his servants. Buried in this family graveyard are George Michael and members of his family-including his extended family (i.e., former slaves). His descendants are many and as a group are well educated, principled, willing to accept the responsibility of leadership, and known for their wisdom, compassion and spirituality. Many have served their fellowman as doctors, social workers and teachers. Many have served God as ministers and missionaries. Some have served their country with distinguished careers in the military and in government. Others have achieved success in the fields of business, industry, law, library science, engineering, science and journalism. The Kentucky Bedingers were quite tall, most over six feet, and long lived. Benjamin Franklin Bedinger, M. D.
Most of George Michael's sons stayed in central Kentucky and operated various business ventures: saw mills, grist mills, the first store, the first ferry, salt production, bottled mineral water and a 300 room hotel resort at Blue Licks Springs (which was burned by the Union Army after the Civil War). Franklin married Sarah Everett Wade, daughter of David Everett Wade, a prominent Cincinnati businessman, city alderman and Presbyterian Church Elder. Her father had doubts about his daughter marrying a young country doctor and paid two of the workmen at his tannery to throw Franklin into the tanning vat. But Franklin, a very powerful young man, threw both of them into the vat instead. Another of his daughters also married a doctor and Mr. Wade eventually came to like and respect both of them. Sarah Everett was intelligent, educated, and dedicated to her perceived duty and to the church. She was known by all as deeply religious. Throughout their marriage Franklin's respect for his wife's wisdom was apparent. He was always involved in politics but declined public office due to a promise he had made to Sarah Everett. Dr. Benjamin Franklin Bedinger made Boone County his home. He was born in Blue Licks in 1797, graduated from medical school in 1818, married in 1820, lived first in Kenton County and bought a farm in Erlanger in 1826. In 1834 he moved with his family to Cincinnati for eight years in order for Sarah Everett to care for her father who had a stroke and was bedridden. Following her father's death in 1842 they lived in Covington for three years and then moved to Forest Home in Richwood for 16 years. As his six children married, like his father and grandfather before him, he gave them each a farm and built homes for them. When David Wade Bedinger married, Dr. Bedinger gave him 300 acres of his large estate, Forest Home on Richwood Road, and the family home. Dr Bedinger and his wife moved back to Erlanger and later bought the Bartlett Graves farm, Walnut Grove, and renamed it The Elms. He lived in Erlanger until his death in 1872 and Sarah Everett lived there until her death in 1880. The lives of Benjamin Franklin and Sarah Everett are well documented in the Centennial History of Erlanger, Kentucky. After Dr. Bedinger gave up the practice of medicine, he became active in the building of toll roads and in politics. He was influential in getting the charter for the Lexington Turnpike Company of which he was President for many years and on the Board of Directors throughout his life. He also acquired a great deal of land and in the 1850 census was listed as one of the two wealthiest men in Boone County. (James Gaines was the other one.) He was prominent in politics and an ardent Whig, holding the same political views as his father, George Michael. He was an influential member of the National Convention which nominated General Zachary Taylor from Kentucky for the presidency. Abraham Lincoln was a member of the same convention. Zackary Taylor became President in 1849 and favored free rather than slave status for new territories. He knew that Dr. Bedinger was of the same opinion and as a fellow Kentuckian asked him to be the Governor of the Territory of Oregon. Due to the promise he had made to his wife, Dr Bedinger declined but suggested his friend Major John Pollard Gaines, who accepted the appointment. Sarah Everett said that they would lose half of their children on such a long and dangerous journey. Major Gaines not only lost two of the daughters he took with him but his wife as well. There is a letter in the Boone County historical archives by a granddaughter of Dr. Bedinger describing the December 1849 dinner which the Bedingers gave in farewell to Major Gaines and invited the whole community. An ad was placed in the newspaper which read: "Any friend of Major Gaines is invited to eat dinner with him at Forest Home before he leaves for Oregon." More then five hundred people attended, coming from far and near. Dr. Bedinger's active role as a political advisor continued. His son Everett Wade Bedinger wrote in his autobiography: "I was with my father when he and Lincoln met in 1858 at a hotel in Bloomington, Illinois. They spent the greater part of the evening discussing the political situation, Dr. Bedinger warning Mr. Lincoln of the dreadful results that would follow the success of his new (Republican) party. Mr. Lincoln little thought that the loss of his own life would be one of those dreadful results." After the Civil War, Dr Bedinger became a Democrat because of the way the Republican Congress mistreated the south, including Kentucky. During the post war period the Republican Congress impeached the Democratic President, Andrew Johnson, but failed to remove him from office. Although Dr. Bedinger and Major Gaines were neighbors, friends and political allies in the Whig party, they had very different views on the issues of war and slavery. In a letter to Major Gaines during the Mexican American War Dr. Bedinger wrote: "You know how much I disapprove of this war and whilst I feel for the brave men and poor soldiers who are suffering, pining, and dying from sickness, wounds and exposure and whilst I wish success to the aims of my country; I still doubt the propriety and patriotism of Whigs uniting with and risking their health and lives lifting this infernal Administration out of its difficulties and covering the one man's power and the one man's war with the glorious results of their suffering and valor thus sanctifying the usurpations of that last of little men, James K. Polk, and enabling him and his army of plunderers at Washington to fatten on the spoils of the nation, to triumph over the constitution, the liberties of the people, and the prosperity of the country. Would that all good Whigs were at home and out of danger, I think it would not be long before Democrats would be damming the man who had got them into a scrape in which they, unassisted by the Whigs, would never obtain either honor or glory." As a post script he adds "Though my wife still insists that you deserve some punishment for leaving the joys and comforts of home to go into such a war as this and she says further that she doubts not that you have been fully punished for it." On the issue of slavery, U S Congressman Gaines voted for the extension of slavery into the western territories, unlike U S Congressman Bedinger's determined opposition to slavery. Unlike the Gaines families, the Bedingers had no mulatto slaves. No Bedinger testified at the Margaret Garner trial in Archibald's defense. Dr. Bedinger's son Everett was an Elder in the Richwood Presbyterian Church during the escape, capture, child murder and trial. The following was entered into the Session Book by him as Clerk of Session. "Sunday - June Ist 1856 - Session met and made the following order - In view of the remarkably low state of piety; and the many sins with which we as a people and church have provoked with the withdrawal of the Divine favor and influence from our midst, and especially in view of the cold and lanquial state of our zeal for the service of the Lord and bearing in mind the many exhortations of the Devine Word thereto - We the Session of this church do hereby appoint Friday the 13th day of June as a day of solemn fasting and humiliation before God on account of our sins and departures from Him as a congregation and as individual members of the visible church - And we do hereby by virtue of the authority of this church - over whom God has placed us as overseers for edification - that they lay apart on that day their ordinary avocations and repair to the house of God for solemn worship, confession of sins and deep humiliation before God and invocation of the return of the Devine favor - And we do most solemnly recommend and enjoin it upon the consciences of all God's professing people to practice such bodily abstinence on that day as shall be suitable to their abasing themselves in the dust before the Great God whom we have offended and the supplication of his benign return to us, in reviving and quickening our own graces, and in granting us to see the return of his Spirit in giving efficacy to the means of grace in the conversion of others. - - After which Session adj'd. Opened & closed with prayer - Everett W. Bedinger, Cl'k pro tem." Olivia Bedinger wrote: "My grandfather (Benjamin Franklin Bedinger, M.D.) was brought up to think slavery a great evil and reared his family in the same belief.” These views made Dr. Bedinger unpopular with those of his neighbors who thought differently. When Humphrey, one of his slaves, married a woman belonging to a neighbor, Dr Bedinger offered to buy her. The neighbor refused saying he would never sell a slave to an abolitionist. During the Civil War, after Humphrey was freed and living in Cincinnati, he was drafted. He came in terror to "Marse Franklin" and offered to return and work for him forever (sell himself back into slavery) if he would get him out of the draft. Dr. Bedinger bought a substitute for Humphrey for $1,000 and sent him back to freedom in Ohio. He [Dr. Bedinger] also bought substitutes for his sons as they were drafted as he did not believe in the war. Long after the Civil War ended, the family teased Daniel Bedinger that he should be dead as his substitute was killed in battle. George Michael, Dr. Bedinger's oldest son, wrote that his father was an abolitionist and freed his slaves, giving each of them money and a horse. There was one slave he could not free because the man had lost a leg so Dr Bedinger sold him to his own mother for a dollar - which Dr. Bedinger gave to her. Both the man and his mother remained and worked for money but were still counted on the census as slaves in order to stay in Kentucky. George remembered as a child complaining to his father that Humphrey, a slave, had spanked him. His father asked no questions but said: "If Humphrey spanked you, then you deserved it." Dr. Bedinger wrote a letter to the editor of the Covington Journal dated May 1, 1849 in response to a printed request by voters of Boone County who asked him to state his views on constitutional reform, emancipation and slavery. 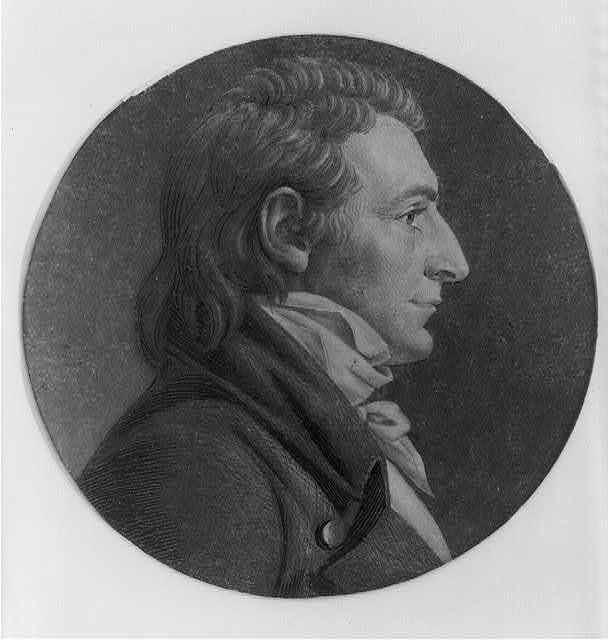 He wrote that the present constitution of Kentucky was inferior, "involving as master and slave nearly one half the population of the state, which many of our citizens consider a crying evil, dangerous to liberty, opposed to good morals, injurious to the welfare of the great mass of the white laborers of the State, prejudicial to the power and influence of the State as a member of the Union, incompatible with the rights and destructive of the true interest of man - bond and free, master and slave." During the time Benjamin Franklin and Sarah Everett lived at Forest Home they did much to promote education. A Sunday School was started at Richwood Church and Sarah Everett donated the money for books. This was recorded in Session minutes. Family history is that Sarah Everett, who had her own inheritance, donated the money to buy the land for Richwood Cemetery and Richwood Church when it was rebuilt in its present location. There is no record of this or where the money came from in the Session Books. The original 1842 deed was for one half acre sold to Richwood Church by William Mosely on land across Richwood Road and on the opposite side of the creek at the north east comer of the intersection of the current Richwood Road and Chambers Lane, where Benjamin Franklin was later granted use of Richwood Church property to build a school for neighborhood children. They were viewed as good parents. Their only daughter, Olivia, died when her son was eight months old. This child was raised by Benjamin Franklin and Sarah Everett. When Major Gaines returned from Oregon for a visit after his wife’s death he left his youngest daughter Matilda at Forest Home, not with his brother Archibald at Maplewood. When a younger brother, George Michael Jr, was dying at his home in Boone County near Big Bone of cholera, he said "Tell that best of men, that dear brother Franklin, to take my child and care for him. Tell his grandmothers both they must not think hard of me for not leaving my child to them, but I think my brother is more capable of raising him." This child was named for his uncle Franklin and in the 1850 census there are three Benjamin Franklins listed at Forest Home - father, son and nephew. When you study history you have to understand people in the context of the culture of the time. You would not call Jesus a sexist because all of his disciples were men. In the same cultural context you cannot call all slave owners racists. There were enough white Christians in the churches, enough white authors and public crusaders, and enough white men in government who believed slavery was wrong to end it. Slavery was the major moral, social, economic and political issue during the time between the Revolutionary War and the Civil War. The Bedingers were politically active in effecting changes in the laws regarding slavery, both on a state and federal level. They knew the economic advantage of free or indentured labor and treated their slaves as servants, paid them wages, and freed them after a period of service. Socially their roots were in Pennsylvania, not Virginia; they married northern women; lived in Kentucky, a state that was neutral at the onset of the Civil War; and were members of the Presbyterian Church, which advocated church membership, education and gradual emancipation of slaves. Their moral opposition to slavery was taught to their children and practiced in their religious and personal lives. At the same time they worked within the political and social systems to abolish slavery, the Bedingers prepared their own slaves educationally, vocationally and financially for the freedom they gave them as adults. Although I have had time to tell you about only two of my Bedinger ancestors, George Michael and Benjamin Franklin and their views on slavery, I want to mention what several of their descendants have done since the Civil War for civil rights. When the Bedingers built a school for neighborhood children, they provided education for the black children as well. Elizabeth Ann, David Bedinger's widow, was from Cincinnati and was not liked by some of the neighbors for her northern views. She hired a black teacher from Cincinnati who lived half of the school year at Forest Home and the other half at Crescent Hill, home of her sister Mary and brother-in-law Daniel Bedinger. Elizabeth Ann and Daniel convinced Judge Lassing, Boone County Administrator, to build a school (which was also used as a church) in Burlington for the black children. The black children of the railroad workers joined the black children from the Richwood farms and were taught in this school. Education for black children was always important to the Bedinger family. When I was in grade school at New Haven School in the 1940's, the black children in Richwood were unable to go to their school in Burlington as there was no money to pay a driver for their bus. My mother, Sarah Elizabeth Roberts Cox, drove the school bus for the black children for six weeks and then spent the day at the Burlington Court House lobbying with Judge Cooper, Boone County Administrator, on behalf of the black children. She also spoke at the PTA meeting at New Haven School about this injustice. She was undeterred by a burnt out cross that the neighbor across the road showed her he had found in our front field. Money was found to hire a bus driver. When the son of one of the neighborhood black families decided to buy his own farm, I was with my grandmother, Agnes Bedinger Roberts, when she withdrew money from the Walton Bank for a loan for Matthew Sleet in order for him to buy a farm with a cash discount. He had 75% of the cash purchase price and my grandmother loaned him the balance, which he repaid the following year. Bales, Kevin; Disposable People - New Slaves in the Global Economy; University of California Press; Berkeley, CA; 1999. Belue, Ted Franklin; The Hunters of Kentucky, A Narrative History of American’s First Far West, 1750-1792; Stackpole Books; Mechanicsburg, PA; 2003. Boone County; Census Reports of Boone County, Kentucky, by J J Millar, Assistant Marshall, 1850 & 1860. Deed Books of Boone County, Kentucky. Brown, William Dodd; A Visit to Boonesborough in 1779: The Recollections of Pioneer George Michael Bedinger; The Register of the Kentucky Historical Society; Vol 86 No 4; 1988. Bynum, Victoria E.; Unruly Women; University of North Carolina Press; Chapel Hill, NC; 1992. Cabot, Susan M. and Rouse, Michael D.; Boone County - Images of America; Arcadia Publishing; Charleston, CS; 1998. Cilley, J.P.; The Cilley Family: (photo copies of pages). Coleman Jr., Squire J. Winston; Kentucky Bicentennial Family Register; America's Historic Records Inc.; Frankfort, KY; 1977.
; Kentucky Family Roots ; America's Historic Records Inc.; Frankfort, KY; 1985. Conley, Joan Weissinger; History of Nicholas County; Nicholas County Historical Society; McDowell Publications; Utica, KY; 1992. Dandridge, Danske; George Michael Bedinger: A Kentucky Pioneer; Michie Company Printers; Charlottesville, VA: 1909; reprinted by the KY Historical Society; Frankfort, KY: 1974. Davidson, D.D., Rev Robert; History of the Presbyterian Church in the State of Kentucky; Robert Carter; NY; 1847. Ecols, Mary Bedinger; Paths of Memories; ; Santiago, Chili; 1968. Franklin, John Hope & Schweninger, Loren; Runaway Slaves; Oxford University Press; Oxford & NY; 1999. Filson Club Historical Society; Filson Club History Quarterly; 1926 - 1999. Gaines; Letters; 1800's and 1900's. Hagedorn, Ann: Beyond the River; Simon & Schuster; New York, NY; 2002. Harrison, Lowell H. & Klotter, James C.; New History of Kentucky; University of Kentucky Press; Lexington, KY; 1997. Kentucky Heritage Commission; Survey of Historic Sites in Kentucky; Frankfort, KY; 1979. Kentucky Historical Society; The Register; Frankfort, KY; 1902 - 1999. Kleber, John E., The Kentucky Encyclopedia; University Press of Kentucky; Lexington, KY; 1992. Levin, Alexandra Lee; For Brave America, The Bedinger Brothers in War and Peace; Hutch Printing Co.; John Day, Oregon; 1995. Lucas, Marion; The History of Blacks in Kentucky Vol 1, Kentucky Historical Society; Frankfort, KY; 1992. Morrison, Toni; Beloved; Plume - Penguin Books; New York, NY; 1988. Onkst, Wayne; From Buffalo Trails to the Twenty-First Century; A Centennial History of Erlanger, Kentucky ; The Erlanger Historical Society; 1996. Owens, Leslie Howard; This Species of Property; Oxford University Press; Oxford & NY;1976. Receveur, Betty Layman; Oh, Kentucky; Ballantine Books Random House; New York, NY; 1990. Rhea, Mildred Bedinger; The Washington-Bedinger Family Story - Henry and Bettie - Book I Homestead on The Prairie; Winston-Derek Publishers Inc; Nashville, TN; 1990. The Washingion-Bedinger Family Story -Henry and Bettie - Book II The War Years; Hutch Printing Co.; John Day, OR; 1992. The Washington-Bedinger Family Story - Henry and Bettie - Book III Papa is Home; Hutch Printing Co.; John Day, OR; 1996. Richwood Church: History of Richwood Church 1834 - 1984; Boone County, KY: 1984.
: Richwood Church Session Books; 1834 -1942. Stevens, Harry; "David Everett Wade (1763-1842); Patriot, Tanner, Deacon, Alderman"; The Bulletin; Historical and Philosophical Society of Ohio; Vol.XIII No.5; July 1955. Sutherd, Calvin E.; Gaines - Indexed Edition; Riverside Press; Fort Lauderdale, FL; 1972.
; Gaines -Indexed Edition Supplement; Riverside Press; Fort Lauderdale, FL; 1973. Talbert, Charles G. & Gregg, Clifford C.; George Michael Bedinger 1756-1843; The Register of the Kentucky Historical Society; Vol 65; 1967. The Shenandoah; "The Starving Crows"; P 257. Warner, Jennifer S.; Boone County; From Mastodons to the Millennium; Burlington, KY: 1998. Weeks, Louis; The Kentucky Presbyterian ; John Knox Press; Westminster; 1983. Wiencek, Henry; The Hairstons; St. Martin's Press; New York, NY: 1999.
Who Was Who in America - Historical Volume 1607-1896; Marquis Co; Chicago, IL; 1963. Yanuck, Julius; The Garner Fugjtive Slave Case; Mississippi Valley Historical Review, Vol.XL No. 1; June 1953.